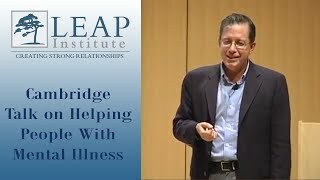 Dr. Xavier Amador, founder of The LEAP Institute giving a public talk on how to help people with mental illness who don't realize they are sick. Sponsored by the NAMI (National Alliance on Mental Illness) Cambridge Chapter. The lecture was given on the evening of October 2, 2012 at the Cambridge Public Library in Cambridge, Massachusetts. 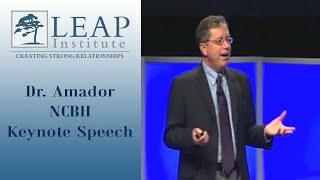 Dr. Xavier Amador, founder of The LEAP Institute, delivering a keynote speech to the annual convention of the National Council for Community Behavioral Healthcare. In it he discusses how to use LEAP to help people with mental illness.